Return Jonathan Meigs, in uniform, holding his Revolutionary War sword. Among Revolutionary War heroes buried in Tennessee, Return Jonathan Meigs stands out for the many ways he served his country. He was a colonel in the Continental Army during the Revolutionary War, helped settle the Northwest Territory and was appointed as agent to the Cherokee Territory in 1801. Meigs was born in Middletown, Conn., on Dec. 17, 1740, to Return and Elizabeth Hamlin Meigs. He began his career in the mercantile business. In 1764 he married Joanna Winborn, with whom he had four children before her death. In 1774 he married Grace Starr and fathered three more children. By 1774 Meigs was a captain in the local militia. Following the Battle of Lexington on April 19, 1775, he led a company to Boston, where he was appointed a major in the 2nd Connecticut Regiment of the Continental Army. Later that year, as a division commander, he accompanied Col. Benedict Arnold on his 1,100-man expedition through Maine to Canada, a march so strenuous that historian Kenneth Roberts compared it to Hannibal's crossing of the Alps. The British captured Meigs in the assault on Quebec City, but Gen. Guy Carleton paroled Meigs for his decent treatment of Captain Law, Carleton's chief engineer. Meigs rose from major to lieutenant colonel. In May of 1777, commanding the 6th Connecticut Regiment, he led the Meigs Raid against British forces in Sag Harbor. With 220 men in a fleet of 13 whaleboats, he crossed Long Island Sound from Connecticut to Long Island in a night attack on the British fleet. The raiders burned 12 ships and took 90 prisoners without any losses. Congress gave Meigs a presentation sword, and he was appointed colonel of the 6th Connecticut. In July 1779 he led the 3rd regiment of the Corps of Light Infantry at the Battle of Stony Point on the Hudson River above New York. As acting commander of the 1st Connecticut Brigade, he put down a mutiny and received a letter of thanks from George Washington. Col. Meigs was retired in January 1781. After the war Meigs was appointed one of the Ohio Company's first surveyors on Nov. 23, 1787. He and a party of New Englanders under Gen. Rufus Putnam traveled down the Ohio to the Muskingum River, where they founded Marietta, Ohio. Meigs drew a code of regulations and posted it on a big oak tree. He subsequently served as a clerk of the Court of Common Pleas and judge of the Court of Quarter Sessions. In 1795 he served in the army under Gen. Anthony Wayne as a commissary of clothing in the western country. From 1799 to 1801 Meigs served in the Ohio territorial legislature. His son, Return Jonathan Meigs Jr., remained in Ohio, where he served as a U. S. senator (1808-1810) and governor (1810-1814). Meigs was 61 in May of 1801 when President Thomas Jefferson appointed him to serve as agent to the Cherokee nation and military agent for the U.S. War Department at Fort Southwest Point near present day Kingston, Tenn. In 1807 he relocated the agencies farther east to a post named Hiwassee Garrison, at the juncture of the Hiwassee and Tennessee rivers. His interpreter was Charles R. Hicks, who later became a chief of the Cherokee. 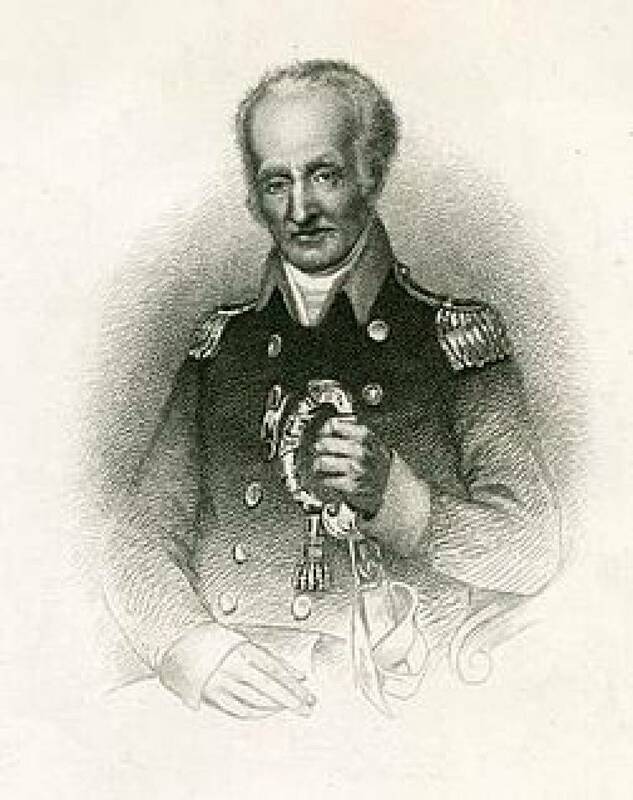 Meigs' military role ended in 1813 when the Federal soldiers stationed there were withdrawn, but he continued to serve as Cherokee agent on the Hiwassee River until he died. Meigs is credited with promoting the interests of the Cherokee, protecting their treaty rights, and encouraging them in their efforts to establish a Republican form of government. The Cherokee named him "The White Path" to show their respect. In January 1823, just past his 82nd birthday, Meigs moved into a tent so his quarters could be used by an elderly chief who was visiting. He caught pneumonia and died on Jan. 28, 1823. He was buried beside his wife, Grace, and son, Timothy, in the Old Garrison Cemetery near Calhoun in Rhea County. Timothy's son, Return J. Meigs IV, married Jennie Ross, daughter of Principal Chief John Ross, and emigrated to Oklahoma on the Trail of Tears. The emigration path crossed the river at Blythe's Ferry near the site of the Hiwassee Garrison. The ferry landing is now part of the Cherokee Removal Park. The state of Tennessee honored Col. Return J. Meigs by the naming of Meigs County, formed in 1836 from part of Rhea County, and Meigs Mountain in the Great Smoky Mountains.